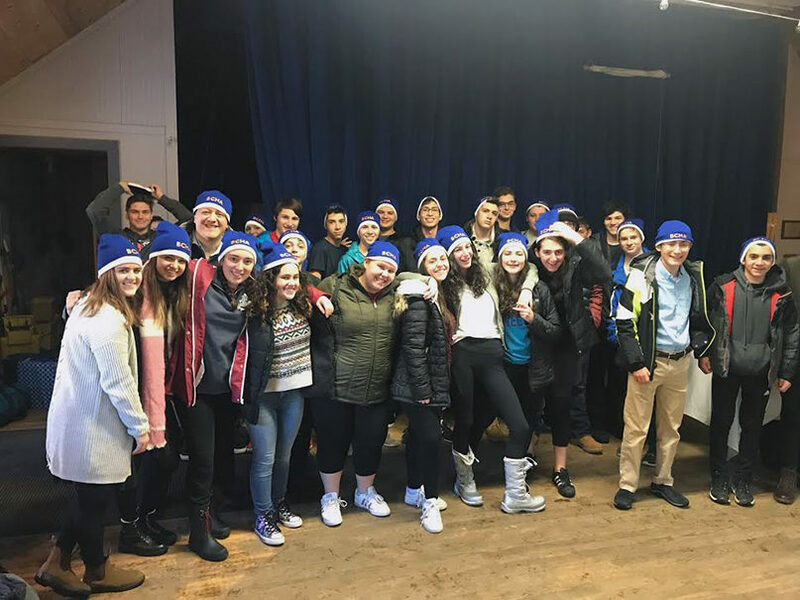 “Journeys” was the theme of the Bi-Cultural Hebrew Academy Upper School Shabbaton…and to set the BCHA teens off on a meaningful journey, Head of School Jackie Herman gave the BCHA Upper School students matching blue knit hats emblazoned with (what else?) the letters BCHA. A fun touch, to be sure – but, of course, it took more than that to put together a fun weekend. It took tons of planning. But the teens hard work paid off two weeks ago when the group of teens arrived at the Isabella Freedman Jewish Retreat Center for their first school-wide Shabbaton. During the course of the weekenfd, the teens shared meals and singing and lots of laughs. They enjoyed challah-baking and canning workshops and, for a brave few, a hike up to a snow-covered lookout with a magnificent view of the retreat. In between games and davening, students got to learn about the journeys their classmates and teachers have taken to get to where they are today. Shabbat was ushered out with a beautiful Havdallah service overflowing with ruach…and the group headed home with so many memories, loads of new and renewed friendships and, of course, a BCHA blue-knit hat.